Angela will be exhibiting with The Sussex Guild who are showing in Horsham for the third time. The event will be held in the spacious Parkside building, which is the joint WSCC and Horsham District Council office. Parkside is less than five minutes’ walk from the centre of this historic market town. Designer makers will be displaying a spectacular variety of superb, well-designed and beautifully made crafts, which have been created in workshops and studios across Sussex and the adjoining counties. Come to meet the designers with their ceramics, furniture, jewellery, metalwork, printmaking, textiles and woodwork. Light refreshments will be served at Parkside throughout the weekend, helping to make your visit a relaxed and enjoyable experience. 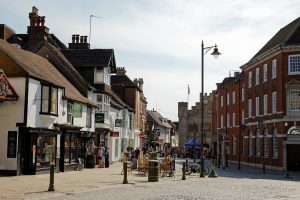 There are also nearby cafés, restaurants and public houses, a lively town centre with a Saturday market and an excellent local history museum.